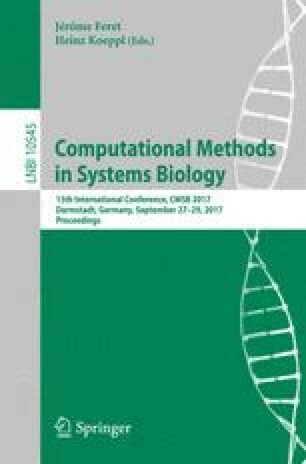 When seeking to understand how computation is carried out in the cell to maintain itself in its environment, process signals and make decisions, the continuous nature of protein interaction processes forces us to consider also analog computation models and mixed analog-digital computation programs. However, recent results in the theory of analog computability and complexity establish fundamental links with classical programming. In this paper, we derive from these results the strong (uniform computability) Turing completeness of chemical reaction networks over a finite set of molecular species under the differential semantics, solving a long standing open problem. Furthermore we derive from the proof a compiler of mathematical functions into elementary chemical reactions. We illustrate the reaction code generated by our compiler on trigonometric functions, and on various sigmoid functions which can serve as markers of presence or absence for implementing program control instructions in the cell and imperative programs. Then we start comparing our compiler-generated circuits to the natural circuit of the MAPK signaling network, which plays the role of an analog-digital converter in the cell with a Hill type sigmoid input/output functions. We are grateful to especially one reviewer for his expert proofreading which helped us to improve the presentation of our results, and to the editors for providing us with the necessary extra space. Part of this research is funded by the ANR-MOST Biopsy project. The first author acknowledges fruitful discussions with Jie-Hong Jiang (NTU, Taiwan) on the compilation of program control flows with reactions, and motivating discussions with Frank Molina (CNRS, Sys2Diag, Montpellier) on the biochemical implementation by enzymatic reactions in microfluidic vesicles.